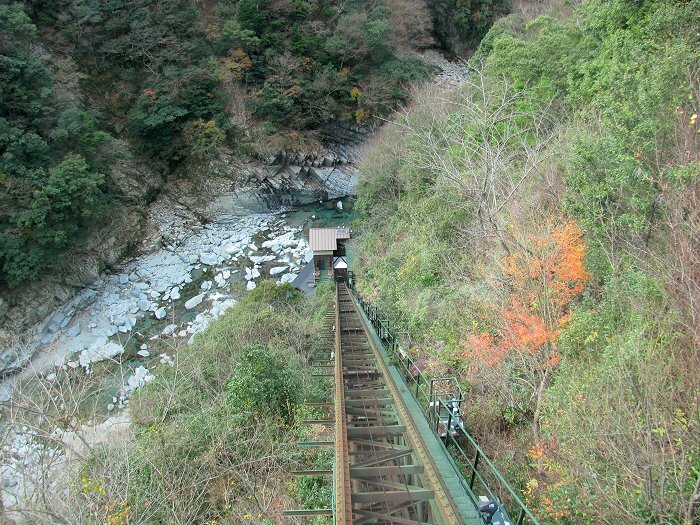 There are some lovely hotels in the Iya Valley of central Shikoku. One is perched on the steep-walls of the Iya River gorge, and a funicular carries hotel guests down to the valley floor where the riverside rotenburo (open-air hot spring bath) awaits! Sometimes bathers can spot monkeys along the riverside. There are no other settlements in the vicinity of the hotel and this isolation is so much the charm of the place!